He served as Director of the Company based on the resolution of the Annual General Meeting of Shareholders on June 27, 2018. Before becoming part of PT Golden Eagle Energy Tbk, he served as Regional Manager of PT BFI Finance (1995-2000), continued with AVP at PT Danareksa (Persero) 2000-2007). Then became AVP at Bank Danamon (2007-2008). 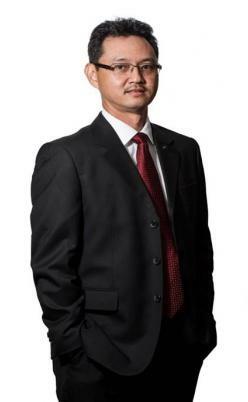 Followed by VP at BII Maybank (2011-2012), SVP at Permata Bank (2012-2017). And become CFO in PT Nusantara Infrastructure Tbk (2017). And also has 23 years experience in banking and finance. He currently holds the position of GM Corporate Affairs at PT Rajawali Corpora. He holds a Bachelor degree in Mechanical Engineering from Atma Jaya University (1986) and Master of Business Administration (MBA) from University of Arkansas, USA (1994), also obtained Financial Risk Manager (FRM) certification from Global Association of Risk Professionals (Garp) New Jersey, USA (2005).